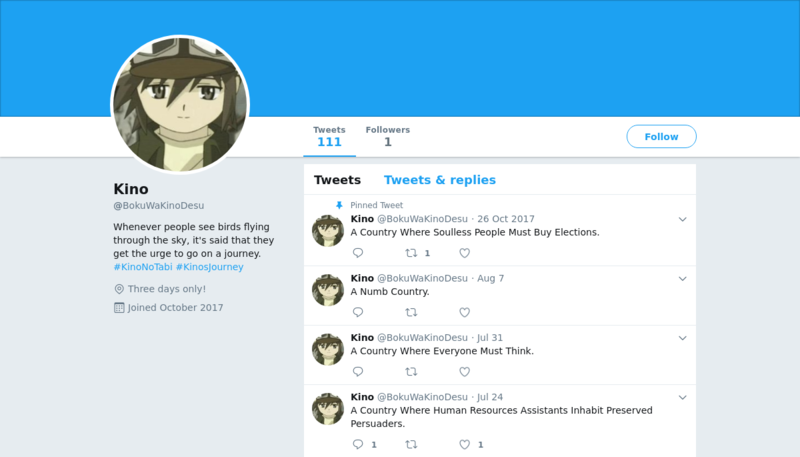 Kino is a Twitter bot created by Serin Delaunay that posts randomly generated descriptions of countries passed through by the eponymous protagonist of Kino’s Journey, a Japanese light novel and anime series. A Country Where Soulless People Must Buy Elections. Shall I tell you about my stay in a country with no soldiers?